Getting paid is the fun part, right? We want to make that as easy as possible for our clients to send payment so that we can focus on providing good quality work and not worry about collecting payments, whether buttons are working, and invoice paperwork. I’m going to say it again; you have to do what’s right for you, your business, and your clients. There are many ways to get paid online and there are many ways to handle billing online. We’re just going to explore just some of the options here and try to make things simple, fast, and efficient. In this instance, the client pays you for a specified number of hours before the work gets done. The client pays you up front and then it’s up to the client to be sure to send you enough work within the designated time frame to fill those pre-paid hours. You are sending a bill for your time on a specified schedule of your choosing or as agreed upon by you and the client – it could be the 1st & 16th day of month, weekly, monthly, or even quarterly. You send your client an itemized list of completed tasks and time worked. There are easy to use invoicing services available through PayPal, FreshBooks, Wave, and others. Some clients need ongoing month-to-month assistance. You may want to offer a retainer package at a discounted hourly rate, where the client is required to pay on a set date of the month for a specified number of hours. You promise your availability for that amount of time each month. Depending on the type of virtual services you provide, you may find that a project based payment system works best for you. Graphic designers and content writers, for example, can easily bundle their services and charge one rate for that package. Packages work best for things that you know you can do in a certain amount of time, repeatable tasks, or a group of tasks that complete a project like setting up a certain number of social media profiles for a new business or writing a certain number of articles for a blog. If you’ve posted rates on your site and want to have a quick way for clients to pay you have a few options that you can set up. 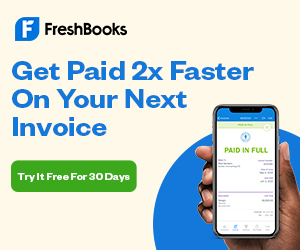 Everyone has their own way of billing and pricing, but the tools for getting paid are largely the same so let’s take a look at some of those…. A Paypal Buy Now button would be for a set price package or for a single time retainer purchase, nonrecurring. These are easy to set up right inside your Paypal account. First, login to Paypal. In the top menu click on Tools > then All Tools from the dropdown menu. Scroll down a bit until you see the Paypal Buttons tool and click on that. There are several buttons options to choose from here. You could use Buy Now for a single service payment. You could set up subscription or automatic billing for recurring reservation of a certain service package each month. For this example, let’s create a Buy Now button…. Paypal’s button creator will walk through everything step by step. You can enter the name of the service package, the price, etc. Then you can customize your button settings. You can use the standard Paypal Buy Now button in large or small sizes, you can check or uncheck the box to show the credit card logos or not show them. You can choose to change ‘Buy Now’ to ‘Pay Now’ or you can even upload your own custom button. The standard Paypal buttons are completely fine, and people often expect to see them when they’re paying via Paypal, but using your own image has advantages. To use your own image you’ll need the image to be uploaded to your site already. You can use the Media Files manager inside WordPress to upload the image and grab the URL to it. Just paste the image’s URL to your image in the Paypal button options. I like to leave the box checked for saving the button at Paypal, that way you can come back and make changes, or get the saved HTML code snippet if you need it again later. If you want to limit the number of packages that can be purchased, you can set a number here so that you don’t oversell it. When it’s sold out, Paypal won’t let anyone else purchase the package. This feature can be useful if you’re running a limited time offer for the holidays or just want to be careful not oversell yourself. You can have it alert you when there are only a certain number left and you can come back and add more if you want to take on additional work. You can set up a custom “Sold Out” page for people to be redirected to when it’s sold out. This can be a “sorry” page that offers them something else or asks them to contact you about scheduling for a later date instead. This is where you can set up the URL for people to be directed to after payment. You can specify a URL for them to be taken to if they cancel during the checkout process (back to your services page perhaps) and you can specify a page for them to be taken to after they’ve completed payment. This can be a custom made thank you page on your website thanking them for their payment and requesting any information that you might need to complete their order, you can include a form right on the page to keep things quick and easy. When all the settings are the way you want them for the button, click Create Button at the bottom of the page. Paypal will give you the HTML code for your newly created button. Just highlight the code, copy, and paste into your WordPress page editor where you want the button to appear on the page. There’s also an “Email” version, which is a single URL that you can use in an email to take clients directly to Paypal to make payment. That’s it ~ easy peasy button making in Paypal. To make a recurring billing or subscription button for ongoing retainers you go through much the same process, except you would choose one of those buttons at the beginning and there would be an option to set the frequency of billing. The frequency can be weekly, monthly, quarterly, every X number of days, however you’d like to set it up for your clients. You can also select how long it should continue, or leave that set to never if you want it to continue until the client or you manually cancels the ongoing subscription payment. You can make your own image using a graphics program. There’s always Photoshop if you have that already, but there are also free graphics programs like Gimp and Inkscape if you want to give it a try without breaking the bank. There are also button generators around the web that are free to use and tinker with. You can even create buttons in Canva if you’re comfortable creating images there. Some WordPress themes actually come with matching images included that you can use for buttons and banners to keep your website looking consistent. Check your theme documentation to see if your theme has those available. You can also buy a stock image package of buttons from a site like Dreamstime or 123rf. You can choose fully premade buttons or blank sets that you add your own text to, though some fully premade sets include a blank version as well. At the end of the day, do what works best for you and helps you move forward right now. Please don’t let adding a button hang you up. If you feel stuck or you’re having a technical issue, drop a comment below or email me and I’ll help you figure it out.